An agreement being signed today could see some of the largest wind turbines in the world erected in the Bog of Allen in the midlands. AN AGREEMENT IS to be signed today to allow Ireland to export wind-generated electricity to Britain. The agreement could lead to hundreds of wind turbines being built in the Irish midlands, with the power generated transferred to Britain using undersea cables stretching from Ireland to Wales. The Irish Wind Energy Association (IWEA), the national body representing the wind energy sector in Ireland, has welcomed the news that the Minister for Communications, Energy and Natural Resources, Pat Rabbitte TD and his British counterpart, Secretary of State for Energy, Edward Davey will sign a Memorandum of Understanding (MoU) that will lead to a full inter-governmental agreement. Kenneth Matthews, CEO of IWEA, said the agreement was a “hugely important initial step” in delivering an energy trade agreement, and commended both the Irish and British governments for their work and commitment on the issue. “The MoU followed by an intergovernmental agreement can give Ireland a framework to become a renewable electricity exporter of scale before 2020,” said Matthews. “In addition to this, it has the potential to directly assist local authorities by increasing current annual commercial rates from €11.5 million in 2012 to €70 million by 2020. All these benefits will provide a huge boost to both the local and national economy which will be driven by a sustainable industry that only keeps expanding in terms of ambition and scope,” he added. The IWEA continues to call on the government to establish a government and industry implementation group which, it says, would ideally consist of relevant and experienced private and public stakeholders and agencies as well as private capital investors and maximise the opportunities available to Ireland from exporting renewable energy. “Minster Rabbitte has stayed true to his word and has finalised the terms of the MoU in early 2013, as promised by both governments. This demonstrates the unwavering commitment and faith both parties have in the renewable energy sector to deliver jobs and economic benefits to both the Ireland and the UK,” Matthews said. 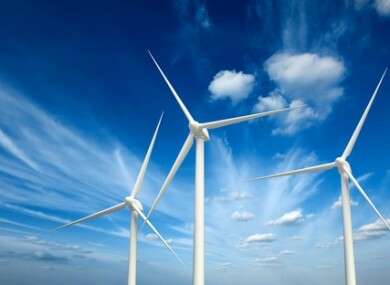 Email “Ireland to export wind energy to Britain ”. Feedback on “Ireland to export wind energy to Britain ”.